VSECU, Rutland Area Food Co-op and the Vermont Employee Ownership Center co-present a free community film screening on Wednesday, October 26th. 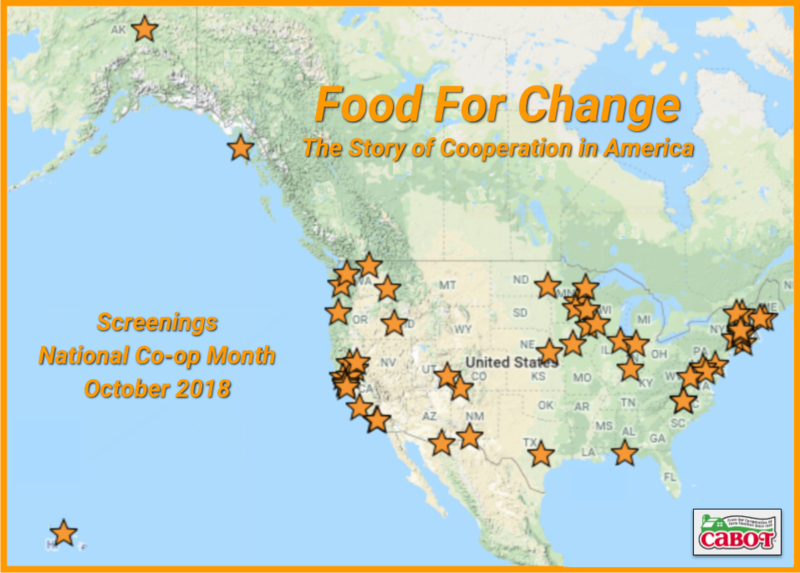 Come watch the documentary “Food For Change: The Story of Cooperation in America”, at at Community College of Vermont – Rutland. The event begins at 5:30 p.m. at 60 West Street, Rutland. Food for Change examines the important historical role played by food co-ops. It shows how cooperatives in diverse sectors strengthen local economies and build food security. The film aims to educate a wide audience about the principles of cooperation, with a focus on healthy food and a healthy economy. The evening will conclude with a discussion of the film and the role of co-ops in Vermont’s economy. In addition, representatives from Vermont State Employees Credit Union and the Vermont Employee Ownership Center will be on hand. Because it’s National Co-op Month, several screenings of the film are happening in Vermont, thanks to VSECU and VEOC.